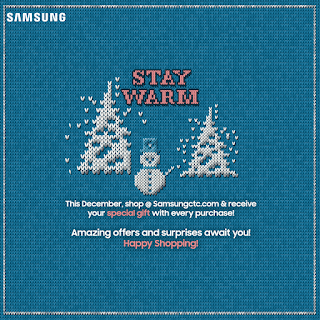 Tarek Chemaly: Samsung: Baby, it's cold outside! 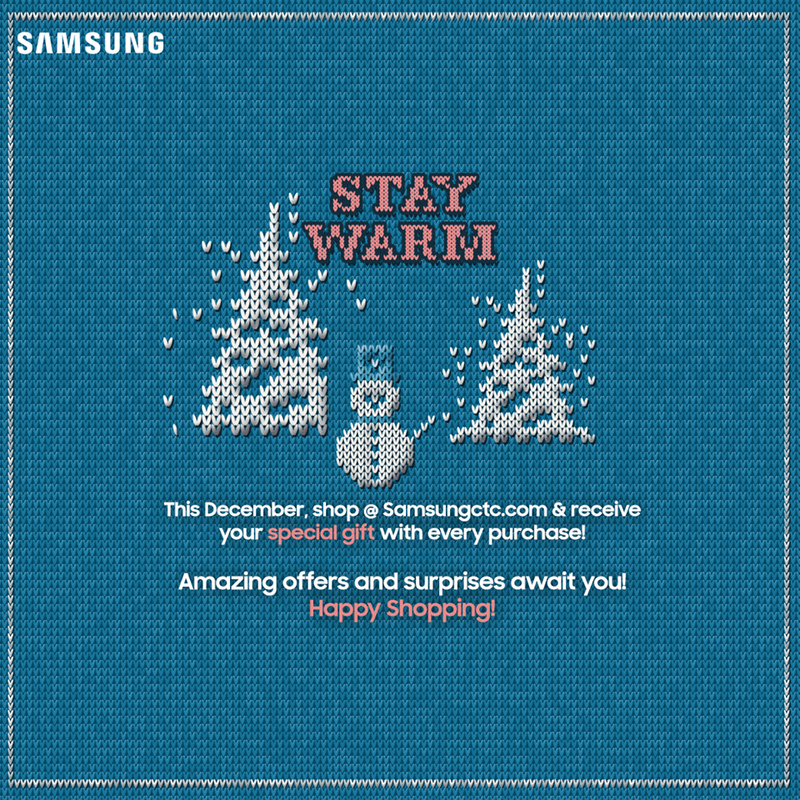 Samsung: Baby, it's cold outside! It does not take much to do a good ad. Case in point: Samsung. 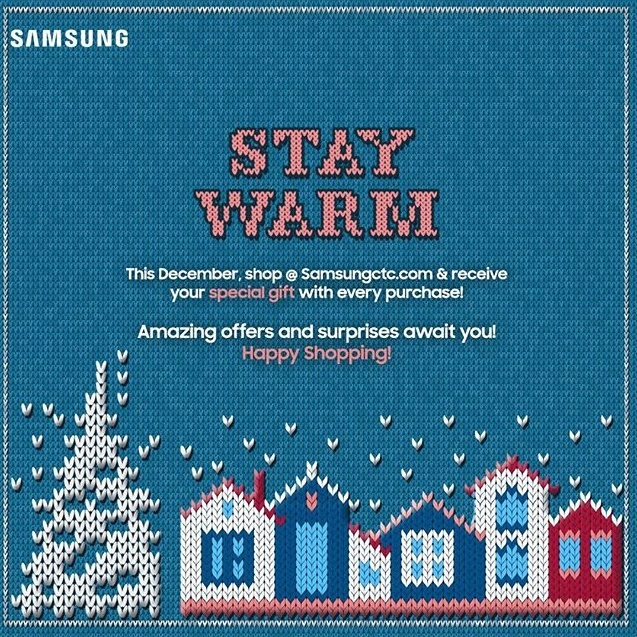 "Stay warm" - a very winter-ish line. But the way it was translated visually is the masterstroke. A cross-stitch canvas with a few houses, trees, a snowman and falling snow.The unobtrusive copy tells of how gifts will await customers. Understated, elegant, with a retro dip (cross-stitch canvas are the epitome of rustic grandmother homely winter days). Somehow, this ad spoke volumes, all without saying much. Very good job Smasung CTC.